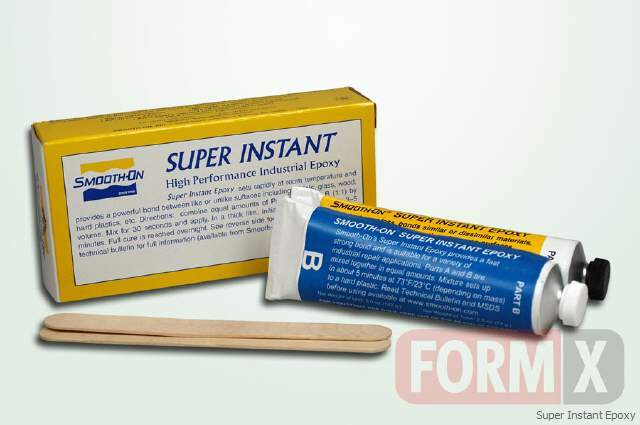 Smooth-On Super Instant® Epoxy is a two component, clear adhesive designed to provide rapid bonding. When mixed in equal proportions - either by volume or by weight - curing takes place quickly enough to permit handling in 5 to 10 minutes at room temperature. 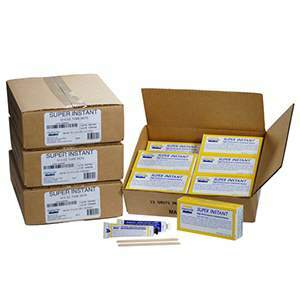 Super Instant adheres to metals such as steel, aluminum and brass, to wood, glass, masonry and many hard plastics.